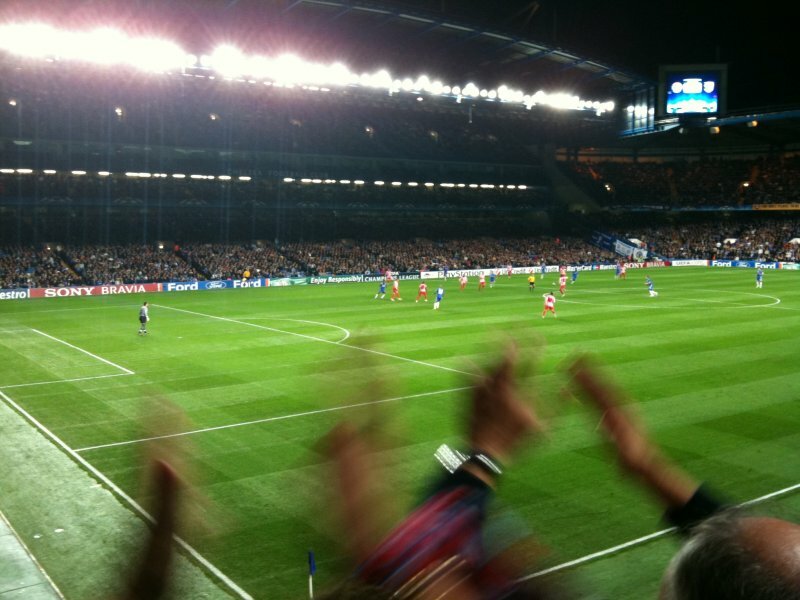 I went to my first football match tonight. 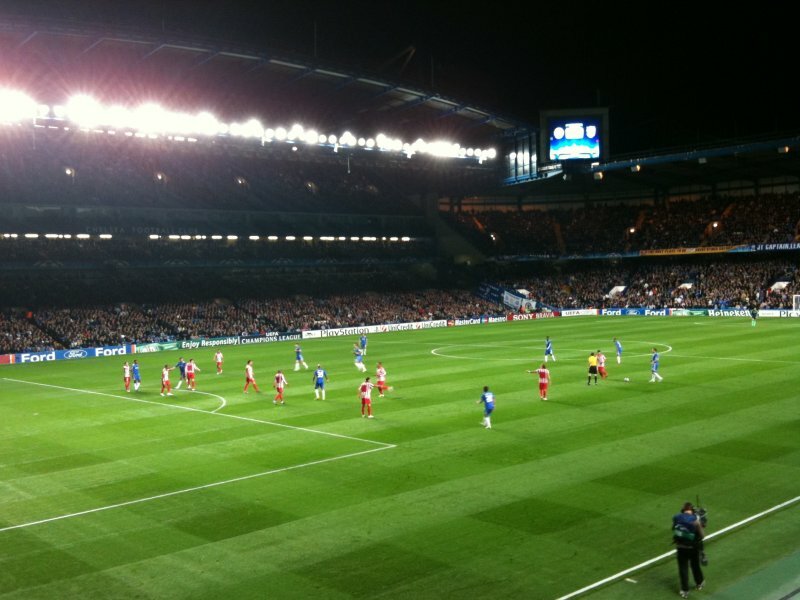 Miguel managed to get some tickets to the Champions League match between Chelsea and Club Atlético de Madrid at Stamford Bridge. It was a lot of fun! 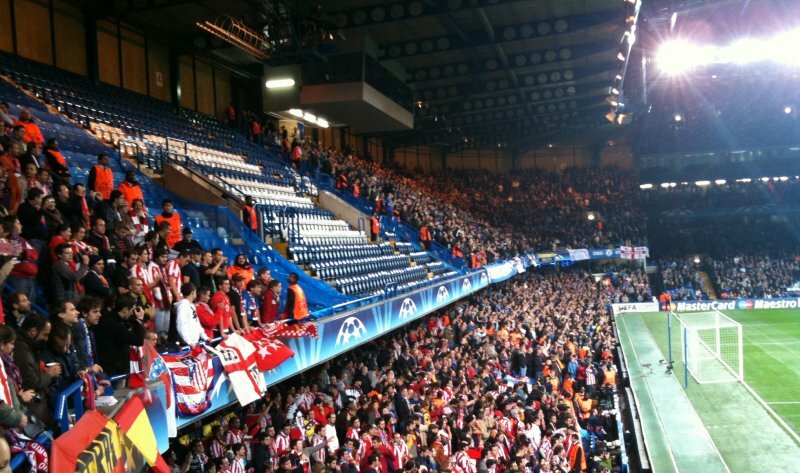 Things didn’t go too well for Atletico, though. 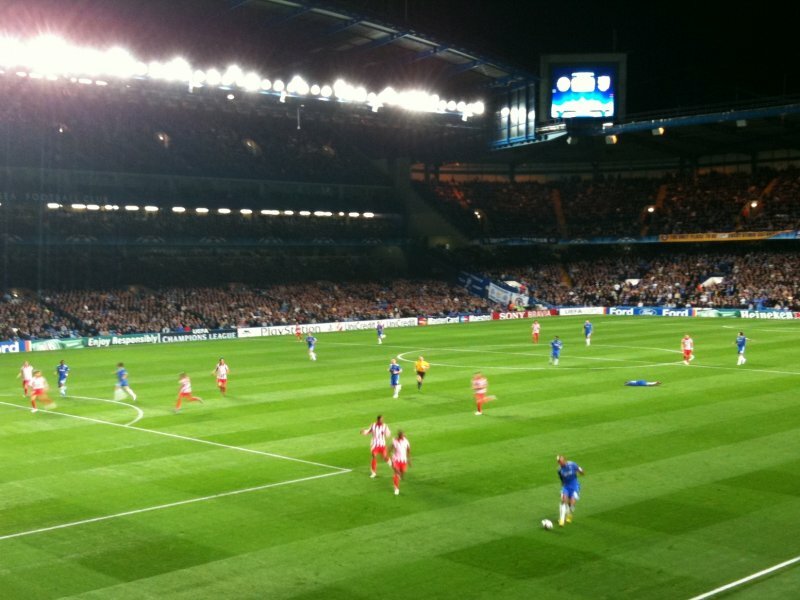 Despite some determined singing from the Spanish fans Chelsea cruised to a 4 – 0 victory. 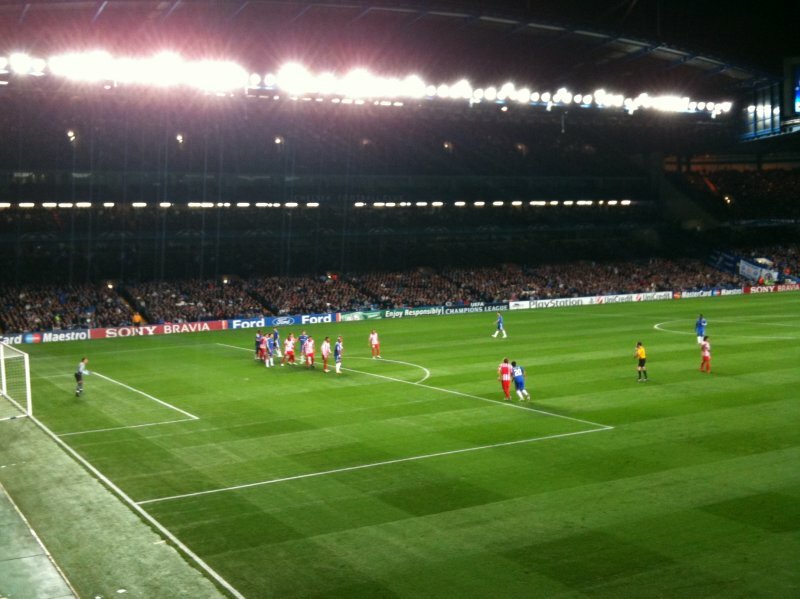 After ten years in London and seven years in Chelsea it was good to finally see a real football match. The noise that erupted from 30,000 fans when the Blues scored a goal was amazing. JEALOUS!!! How lucky are you! That is awesome, and whats more, WHAT A SCORELINE!! !